This Star Wars Lightsaber Ring was based on a very special line of light sabers. In the years before the Battle of Yavin, Ahsoka Tano used two white lightsabers as her personal weapons. These lightsabers, which were white in color and had somewhat curving hilts, replaced the lightsabers she previously used before leaving the Jedi Order during the Clone Wars and were wielded in the unorthodox reverse-grip of her preferred Shien style. We have based an entire line of Star Wars Lightsaber Ring designs on these lightsabres. This ring can be custom made to fit your tastes. ACCENTS: The type of stones available depend on the size, which can be from 1.3-2mm in diameter. The listed price is for a Silver Star Wars Lightsaber Ring with CZ or a lab colored stone. To see another Star Wars Lightsaber Ring, click HERE. 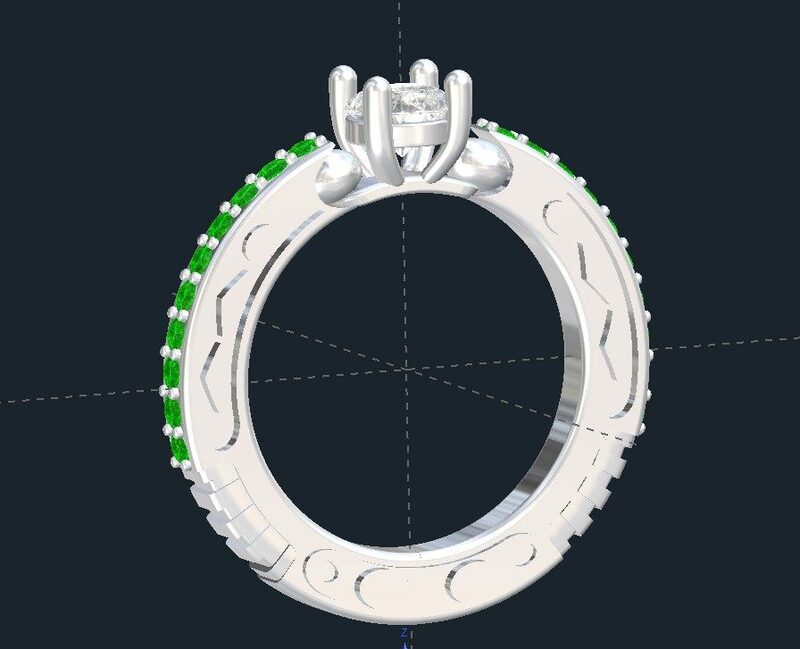 Click HERE to learn more about custom jewelry, to see our portfolio, or to contact us about a Star Wars Lightsaber Ring. 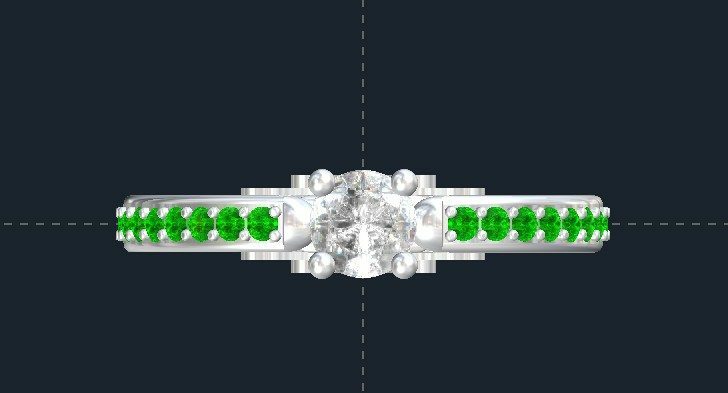 It can cost less than you think to have your very own custom Engagement Rings made just for you. Why hassle with the retail stores for boring and overpriced engagement rings? Valeria Fine Jewelry can create the perfect Bridal Set for you and your spouse to be if you just give us the chance!